The long-awaited Blast Pro Series returns to us CS:GO fans! This will be one of the last major tournaments this year, with the other one the PLG Grand Slam tournament in Abu Dhabi. The Blast Pro series will commence on December 14th and will run all the way till the next day on December 15th. It will be held at the famous Altice Arena which is home to a lot of the big events happening in Portugal. It is located right in the heart of Lisbon in Portugal. There will be a $250,000 prize pool in this event and half of it will directly go to the tournament winner. Today we are going to make a preview of the event together with CS:GO Blast Pro series betting predictions for the year 2018! Since this is a Blast Pro event, there will only be 6 directly invited teams that will be participating in this tournament. But fret not, even if it has less teams featured than any other CS:GO tournament, I assure you that all of the invited squads here are quality. These six invited squads have won their fair share of majors throughout the years and you will be seeing all of your favorite players from the major squads. First up is the world’s number 1 team right now which is Astralis. They have been tearing it up in the recent events the past 6 months and recently just concluded as the grand winner of the Intel Grand Slam series, winning that $1,000,000 prize money. They also won the ESL Pro League just a couple days ago in Odense, Norway, and the IEM event last month in Chicago. Next up on the list is the new restructured Cloud 9. They have recently acquired Golden and Flusha from Fnatic and also snagged Kioshima from Envy. They’re going to have to prove a lot to their other competitors since they are the sole North American team that has been invited to this event. Third on the list is the second placer of the Intel Grand Slam, which is Faze Clan. Sure, they have been disappointing in the past few events, but have recently gotten back to their saddle and get back on their winning ways when they won the Epicenter 2018 in Moscow, Russia. 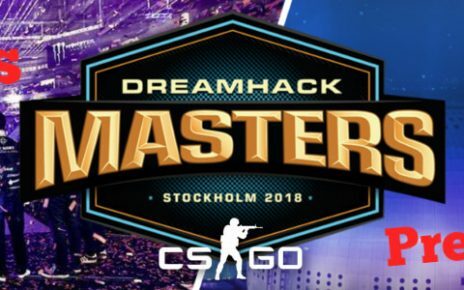 With Karrigan relinquishing the leadership role to NiKo, I think they will have a good chance of winning as Karrigan can now concentrate on getting frags while entry fragging. Now comes the sole South American squad on the lineup, which is MiBR. MiBR currently has a dismal record, but you cannot argue that once upon a time, Coldzera was the best player in the world. Will this be the tournament that they go back again to their winning ways or will it be another disappointing run for them this season? I do hope that they go out with a bang to end the year as Stew and Tarik have started to contribute towards the team wins. 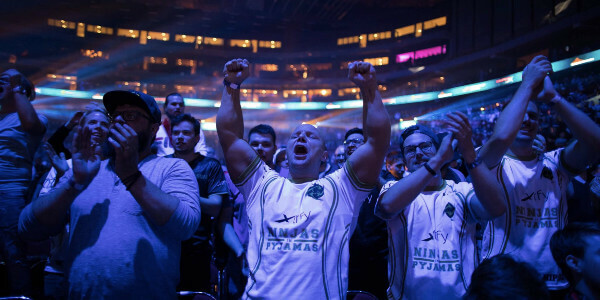 And then comes Natus Vincere, which is being led by their notorious fragger, S1mple. 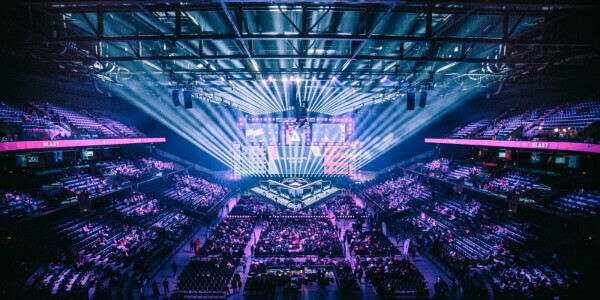 They were edged out during the Epicenter finals by Faze Clan but jumped right back into the winning ways when they won the Blast Pro Series in Copenhagen, Denmark. They also have one of the most impressive streaks this past six months, and I can safely say that they are the world’s second best team right now, just a little bit behind Astralis. And last but not the least, the all-star Swedish team of Ninjas in Pyjamas. They have not won anything decent this year but have been hovering around the 3rd to 6th places in a lot of events these past 6 months. Similar to the record that MiBR is currently holding. However, they are still a quality team that can hang around with the big boys hence the invite to this event. A lot of you NiP fans must be wishing that they close out the year with a win since this is the last big tournament that will be happening in 2018. There are a few roster changes that will be happening prior to the tournament. First off, Golden will not be able to travel due to his heart condition. As you all know, he withdrew from the final day during the Blast Pro series in Copenhagen due to his medical condition. He will be replaced by Refrezh who currently plays for Fragsters. Whether this is a long time replacement or not, we cannot tell yet but we do hope for the fast recovery of Golden. Another one who will not be joining up with their squad is Fer from MiBR. He will be undergoing a surgical procedure on his ear. This has been an on and off issue with him for a long time now and I am happy that he will now undergo a surgery to fix his hearing. However, he will be replaced by an American player, Swag. Swag is currently playing for Swole Patrol but he will stand in for Fer on the 14th. Just like with Golden, let’s hope Fer’s operation is a success and he undergoes a fast recovery. The format of CS:GO Blast Pro Series 2018 is pretty simple. Each of the teams will play each other once on a Bo1 match. Only the top two squads will advance to the Grand Finals and here they will duke it out between each other on a Bo3 series. Winner takes home the trophy and half of the prize pool. For the squad that comes in third place, however, they will have a chance to earn more money by participating in the Standoff. It is a show match where the 3rd placer will pick from any of the teams that have been eliminated and will play against them in a 1 v 1 aim battle. The team who wins a majority of the aim duels will win a $20,000 bonus prize. Now here comes the most exciting part. Any of the squads can beat each other on any given Sunday. After all, these teams are the creme de la creme of the CS:GO competitive scene. However, if I am basing it on the past performances during the last 6 months, I have 2 squads in mind that will make it to the Grand Finals. First up is Astralis. No one can deny that Astralis has been tearing it up in the competitive scene recently. I still remember Astralis whipping MiBR in Dust 2 during the FaceIT Major in London. It was still fresh in my mind. 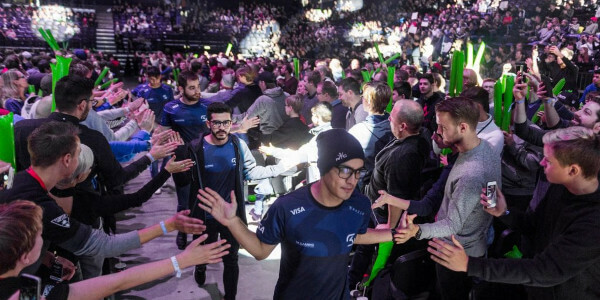 They also destroyed Team Liquid not once, but twice during the ESL Pro League last month. And mind you, that was a Team Liquid that was on a roll who destroyed both Natus Vincere and MiBR in the playoffs. That Magisk and Dupreeh entry duo is a hard thing to stop, especially when they enter in sync and with Device watching their back. However, it’s not just these three who are making the plays. You also have X9pyx on the team who has his fair share of highlight reels in the past tournaments. I still remember him destroying Complexity Gaming in Banana during the group stage of the FaceIT Major. 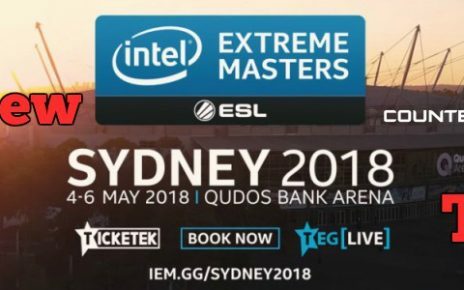 Oh, and who can forget that Ace against Faze on the A site during Sydney? Like I said, the man is a walking highlight reel and he is a nightmare to play against. The second squad that will most likely go into the Grand Finals is Natus Vincere. Let’s face it, they can beat anybody in the list here. Just like they have been beating them during the past 6 months. The only squad that they have a hard time winning against is Astralis and Liquid. And guess what, Liquid is not invited in the event, which gives them an easy way to the Grand Finals. That right there is a fact. If they make it to the Grand Finals again, we will be seeing a rematch of the London Major that happened in September. Will S1mple get his payback and get a win or will they fall short again and get 2-0’ed again by Astralis? S1mple has proven time and time again that he can perform on the highest and the clutch moments, but someone else needs to step up as well or the hopes and dreams of Na’Vi winning something at the end of the year will come to nothing. If only Edward performs well, then we will have an exciting Finals to watch again. 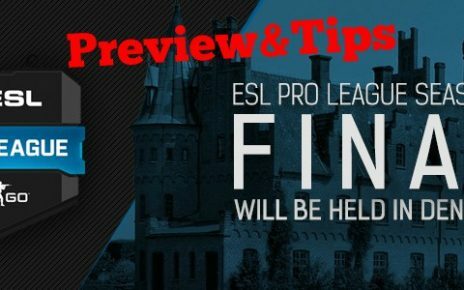 Alright, guys, hope that our CS:GO 2018 Blast Pro Series betting tips will help you to make some reasonable and profitable moves! Stay tuned for the future predictions!